This summer is bound to be one for the ages, as the National Gallery of Australia announces their latest exhibition Love and Desire: Pre-Raphaelite Masterpieces from the Tate, a four-month long installation of some of the greatest artist expressions from the mid-nineteenth century. This magical installation promises to envelop the viewer in a world of revolutionary depictions of lust and romance through lavish colour that will have every attendee hoping for more. Love and Desire is bound to leave you feeling a warmth and appreciation for the people and the work that have drawn untold devotion for years. 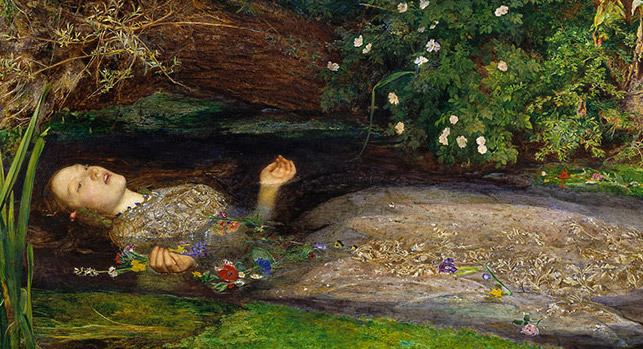 Covering themes of faith, romance, femme fatales and modern life, the exhibit displays work that ranges from John Everett Millais’ Ophelia to John William Waterhouse’s The Lady of Shalott. Love and Desire promises to take you through a world like no other with mythical depictions such as Edward Burne-Jones’ The Wheel of Fortune, true to life nature pieces from an array of artists such as John Brett and his Glacier of Rosenlaui, and portraits from the view of artists such as Dante Gabriel Rosetti’s Woman in Yellow. The exhibition showcases works exclusively featured in the Tate and other British and Australian collections, that depict the rebellious works from the Pre-Raphaelites of the nineteenth century through a series of events throughout the summer. Beginning with a party in the Australian Gardens with television personality Osher Günsberg, the exhibit will follow through events such as a once in a lifetime performance of reimagined songs of love inspired by the work of the Pre-Raphaelites featuring artist Sarah Blasko, and a live dinner and concert under the stars featuring acclaimed musicians Mikelangelo, Anushka Simic, Happy Axe, and Wendy Rule. The exhibit will also feature a poetry reading of works from the Pre-Raphaelite artists and the literatures that inspired their artistic creations. This will undoubtedly be an experience unlike any other. One that will feature the union of marriage between two Canberra-based residents Bella Insch and Mhera Nelson, as they tie the knot in front of family and friends in one of the great events hosted by the gallery in this year’s exhibition. Having one this exclusive prize through a competition held by the National Gallery of Australia, the couple will be treated to a $25,000 wedding package that features a venue hire, wedding co-ordinator, bridal suite and a lavish reception. Yet another reason for this to be a summer of love to never forget. John William Waterhouse’s The Lady of Shalott. Love & Desire: Pre-Raphaelite Masterpieces from the Tate runs from 14thof December to 28thof April, 2019, at the National Gallery of Australia. Next post Fresh Tunes and a New Live Show, Booka Shade Is Back!